To don your Sife, put your feet through the Leg Straps. To don your Sife, put your arms through the Main Lift Webbing to have your rig on your shoulders. 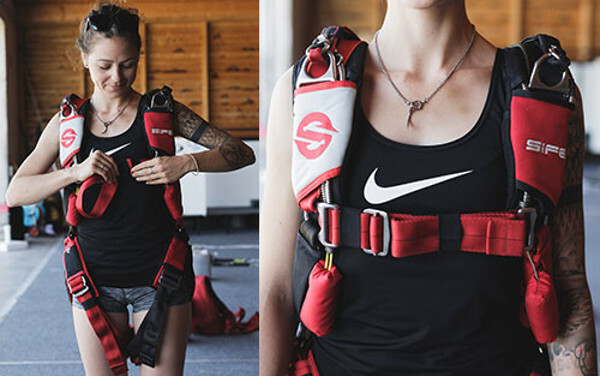 Pull the Chest Strap through the Chest Strap Adjuster. The Chest Strap enters the Adjuster from the back, around the sliding bar and back through between the bar and the end of the Adjuster. Stow the end through the black Elastic Keeper. Note: Both ends must be have the same length. This instruction doesn't replace training.